Wesley College, New Zealand's oldest registered secondary school, was founded in 1844 in Grafton, Auckland, to train Māori boys and boys from the Pacific Islands. 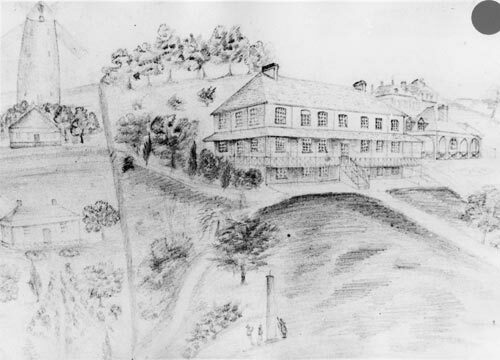 This drawing shows the college in 1848, the year it opened at its second site in Three Kings, Auckland. Wesley College closed for several years during the land wars in the 19th century, and in 1924 it moved to its present site at Pukekohe.